Today is Veterans Day 2018! The Order of AHEPA is grateful to our veterans who have served to protect our freedom and to keep peace. We ask the community, including all of our chapters, to take a moment to observe this very special day. It is a day to express appreciation and gratitude to all those individuals who served in the United States Armed Forces to keep our nation safe and free. This Veterans Day also marks the 100th anniversary of the Armistice of World War I. Did you know about the courageous story of U.S. Army Private First Class George Dilboy, the first Greek American to receive the Medal of Honor? 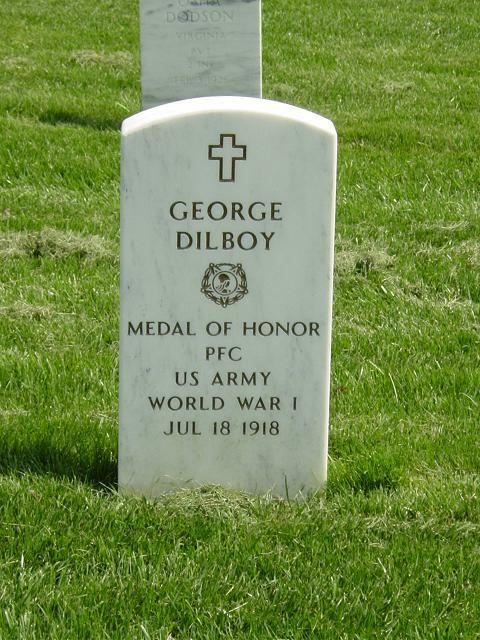 Dilboy was mortally wounded in battle at Belleau, France, during World War I, July 18, 1918 (read Dilboy’s Medal of Honor citation). General John J. Pershing, commander-in-chief of the American Expeditionary Force, who would be promoted to General of the Armies in 1919, called Dilboy one of the “ten great heroes” of the war. AHEPA is comprised of many members who served in our Armed Forces. The Order offers its profound and sincere thanks to them for their service to our country. AHEPA’s Veterans Committee, chaired by retired U.S. Army Colonel Nicholas P. Vamvakias, is committed to helping AHEPA chapters recognize veterans and active-duty service members. 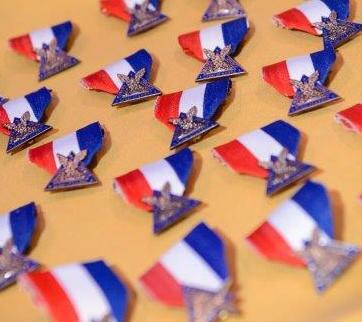 Please visit ahepaveterans.org to register veterans from your community and to order the AHEPA Medal for Military Service. The committee also encourages chapters to submit photographs from events honoring veterans via webmaster@ahepaveterans.org. 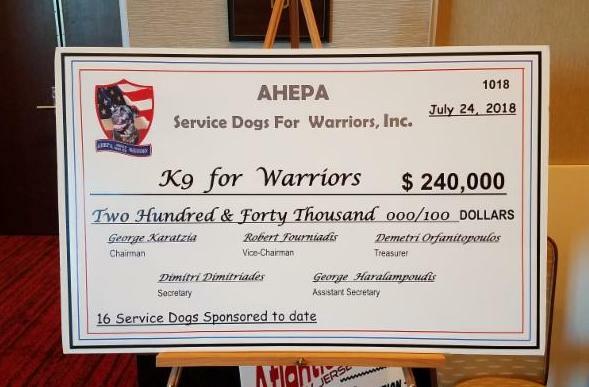 Moreover, through the “AHEPA Service Dogs for Warriors National Project,” AHEPA continues to raise awareness about the consequences of PTSD (post-traumatic stress disorder) and the extraordinary efforts to improve the quality of life of veterans made possible through service dogs. We encourage you to support this worthy program which provides service dogs to military veterans suffering from PTSD. The U.S. Department of Veterans Affairs (VA) estimates about eight out of 100 veterans have PTSD. Finally, to our active duty military personnel, or to those serving in harm’s way, AHEPA salutes you!